In 2004, Soroptimist Raleigh started a Professional Clothing Closet to assist women in need who were searching fo r a job. This service provided these women with interview outfits and, once they were hired, one week’s worth of business appropriate attire in a store-like environment at no cost.s. In 2009, this operation was merged with Dress for Success Triangle to form the DFS Raleigh Boutique. 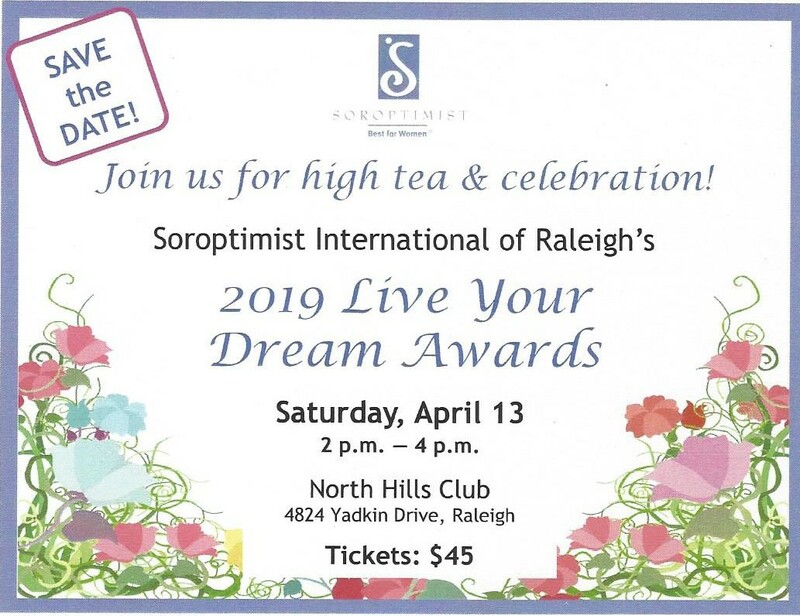 Raleigh Soroptimists continue to volunteer as Image and Career Coaches, as well as in other roles as needed. We have also provided flash drives to DFS’ Raleigh Boutique clients so that they have e asy access to their resumes and other job search documents which were preloaded onto the drives. At their March 2015 meeting, Raleigh Soroptimists presented Dress for Success Triangle with 275 personal care kits valued at $1,000. These will be given to Wake County women who are seeking employment. Each kit provides toiletry essentials for women to make a positive, professional impression during their job interviews. Since the holidays in 2000 we have been Christmas Angels, partnering with a variety of non-profit groups to provide gifts from children’s wish lists. These groups, which are related to our service programs, provide first name, gender, age and wishes for the children with whom they work. For the last two years we have provided gifts to the families helped by Salvation Army’s Human Trafficking victims’ Project FIGHT (Freeing Individuals Gripped by Human Trafficking). Soroptimists select a child, purchase gifts and gather for a holiday wrapping party at a member’s home.